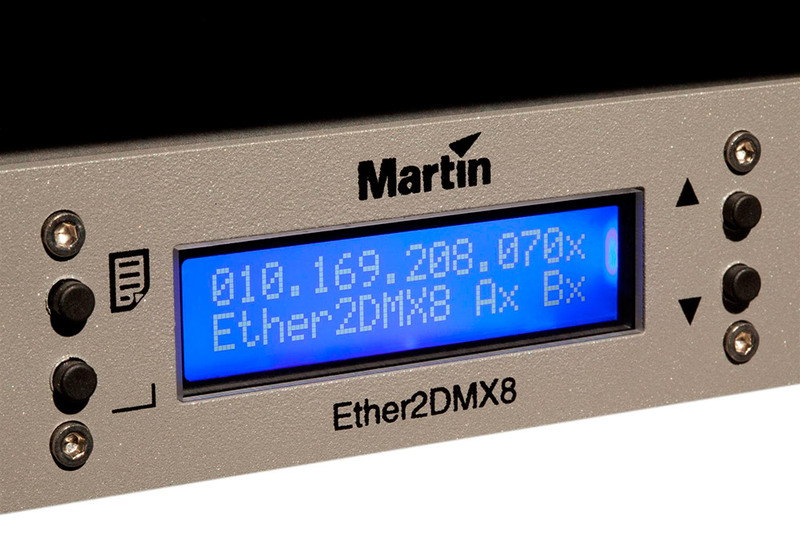 Ether2DMX8 is a highly capable DMX router and much more! As a DMX router, it translates Artnet protocol into DMX in/out universes but can also be used as a DMX merger, DMX splitter hub, fail safe device, cue playback, and DMX viewer monitor. 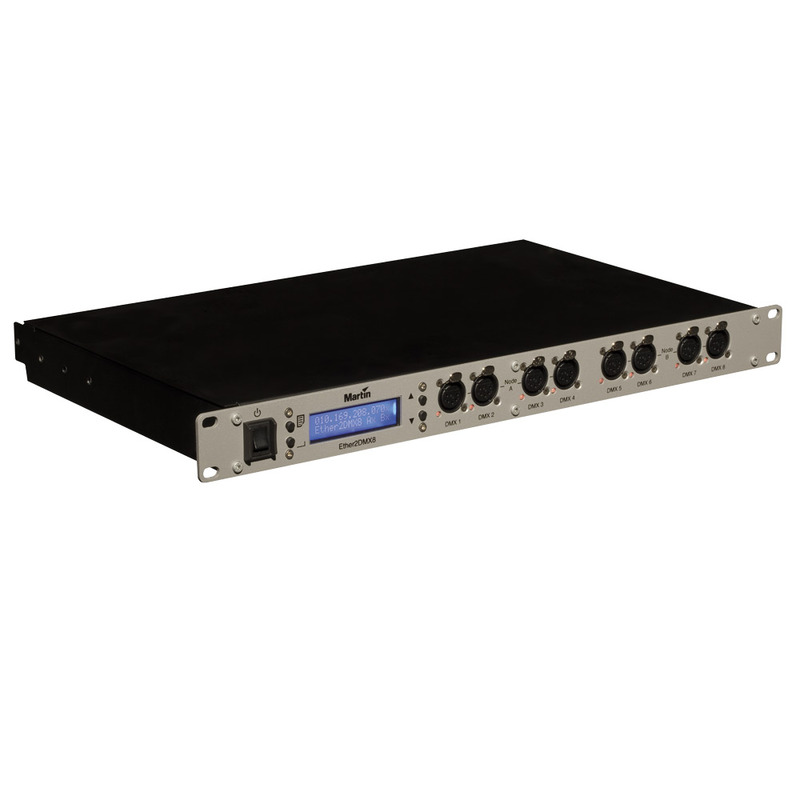 As an extension for the M-Series console it provides 8 DMX ports. 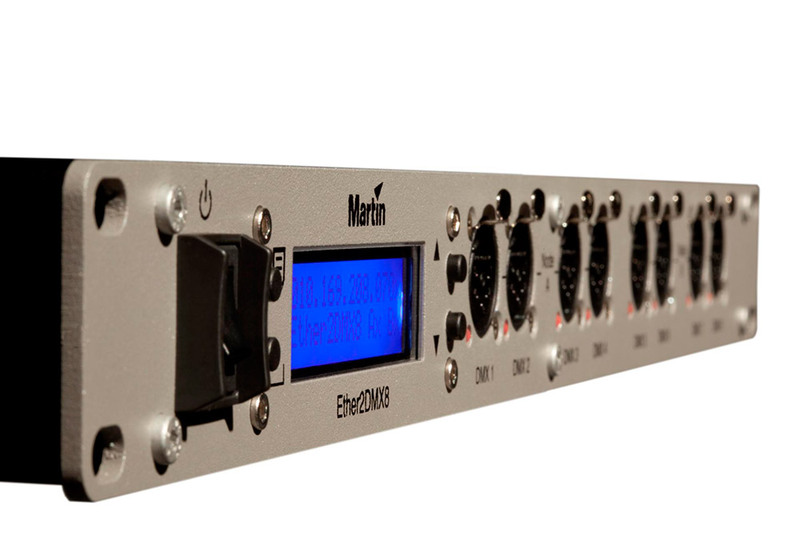 When connected to a standalone PC, the Ether2DMX8 also becomes the license key for M-PC and provides 64 DMX Universes. Typical Power and Current100 V, 60 Hz: 220 mAMeasurements made at nominal voltage. Allow for a deviation of +/- 10%.